Thank you for taking the time to read about the news and events coming up for Villazzo in November. 2010 has been a busy and successful year for us, and we’re planning on ending the year with a bang. In this issue of the newsletter, you’ll read about all of Villazzo’s new properties, the opening of our new office in Aspen, Christmas availability, and more. We hope we can help create the next luxury vacation of your dreams. We at Villazzo understand that some travellers like to flock to snowy Aspen for a winter ski trip, while others prefer spending a balmy winter in Miami. Even though many returning clients have booked already, select VillaHotels and “V” Villas are still available over Christmas / New Year’s. VillaHotel Jasmine: Book now with promo code “Newsletter 1110” and receive a 10% discount! VillaHotel Stella: Get the full, hotel-inspired experience of a VillaHotel at an entry price for the VillaHotel line of properties. Available now due to a last-minute cancellation. One of our clients’ favorites! V Villa Florence: A spectacular “V” Villa choice for Miami Beach. If a wintry landscape, world-class skiing, and snow-topped chalets are more to your liking, then now is the time to book Christmas in Aspen with Villazzo! VillaHotel Rose: I discovered this captivating Aspen villa and we just recently added it to the Villazzo line-up – a fantastic property at a great price! Throughout my travels around the world, I’ve always found Aspen to be one of the captivating luxury destinations in the world today. That’s why Villazzo is pleased to announce that, due to high demand from our customers, we have opened a new office in Aspen and are offering several exclusive rental properties there. Alexander Lehnen and Trevor Williams are the General Managers on site. They have toured dozens of properties and selected the best ones for you.All of Villazzo’s luxury villas are among the most private and luxurious in Aspen, and feature that quintessential, lodge-inspired “mountain contemporary” design inside and out. And because Villazzo has a direct presence in Aspen again, we’re also able to offer VillaHotels as well as “V” villas. Our Aspen VillaHotels feature the same 5-star luxury hotel amenities that our VillaHotels in Miami or St Tropez are famous for. Take a look at what Villazzo has to offer in Aspen! Let Villazzo Host Your ArtBasel Experience in Miami! 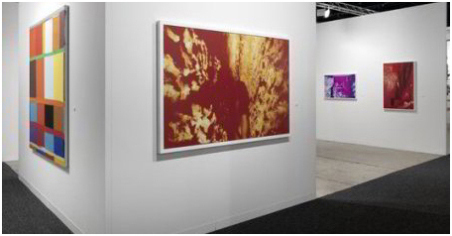 for more information on how Villazzo can enhance your ArtBasel experience! It all started in Miami, over 8 years ago. Today, while Villazzo now has local operations in St Tropez, Capri, and Aspen, Miami still remains a core destination for our company and clientele. It’s no wonder that nobody has the inside track on the finest luxury in properties in Miami like Villazzo. New to our roster of Miami properties are “V” Villa Babette and “V” Villa Julia. Plus, we’re also close to adding three more magnificent villas to our roster, “V” Villa Sonia, “V” Villa Marita, and “V” Villa Palmyra. All of our new Miami “V” Villas were chosen with the same level of care and excellence as all of our “V” Villas, and give you an even wider range of impressive luxury villas to choose from in Miami Beach. This entry was posted on Tuesday, November 30th, 2010 at 1:50 pm	and is filed under Villazzo Newsletters. You can follow any responses to this entry through the RSS 2.0 feed. You can leave a response, or trackback from your own site.